Hello…I am so excited to be here sharing this quilt front tutorial! Okay, that took a while, but you are so close to being done!!! Lay out your blocks how you want. Six blocks in a row. Seven rows. 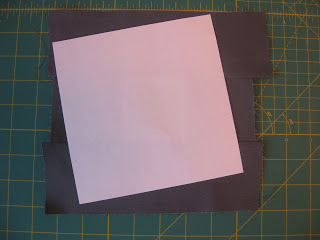 Since the sides of your blocks are cut at an angle they will stretch and fray more easily. I would suggest not letting little people play with them just yet. :) They can love on it soon enough. Switch to the walking foot if you have one. Stitch the blocks, side-to-side, in each row. Press seams. 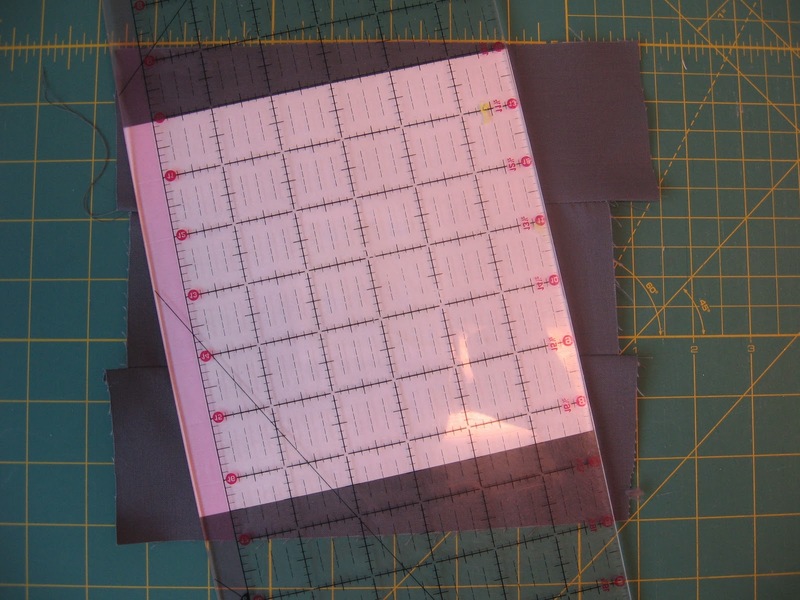 To reduce bulk I pressed the seams in rows 1,3,5, and 7 to the right. And seams in rows 2, 4, and 6 to the left. My preference. Do as you like. Stitch rows together. Be sure to pin seams! Press seams open. Ooo La La…you’re done with the top!!! Layer your back, batting, and top. Quilt it. Bind it. And you’re done!!! Now run, don’t walk, to your washing machine! It’s time to let the little one snuggle and enjoy it! I had such a great time putting this together! So much so, that I am in the middle of quilting its twin! As a thank you to Allison and all her fabulous readers I am offering 15% OFF your entire order in my shop through Monday, 30 Jan. Enter SEWMAMA15 at checkout. 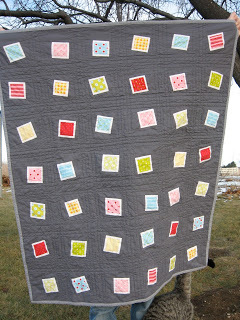 Head over to my blog for a chance to win a mini version of this quilt as part of my 100th post. 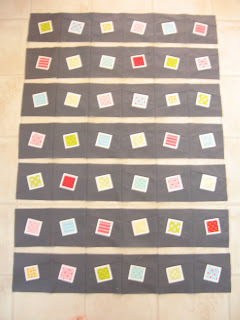 Ooo, I love a good "use up the scraps" quilt. And your blog name is just hilarious. Oh my goodness! Swooning here. 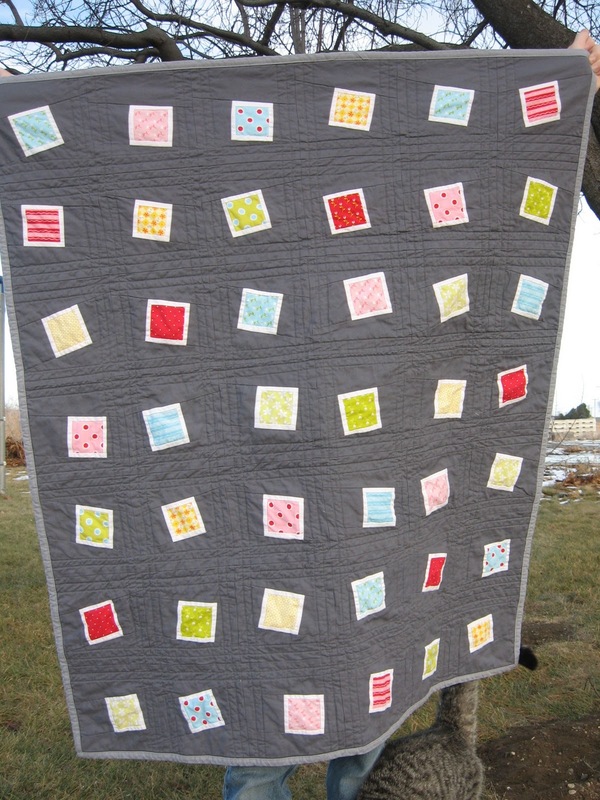 Love this quilt…thanks for the tutorial too. And I love the gray background. So cute, I've got to make this happen. so easy, light und complete. Love it! The grey is adorable too! Thanks for the easy tutorial! Thanks for sharing! Great tutorial! 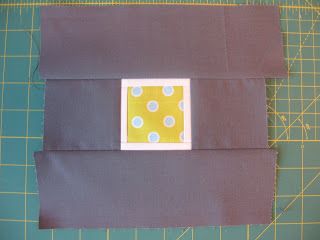 I'm thinking this would be a great way to "show off" a fabric line or make it up as an I Spy! Love, love, love it!! I love seeing how Kersten made her off kilter squares! Thanks for featuring her. So cute!! What does WOF mean? I absolutely love it! Thank You to you both! That is such a cute quilt. I'm so glad you had Kersten visit! Thanks for sharing, both of you! Loving all those colors and thanks so much for the tutorial ~ I'm needing to make a baby quilt and this is really pretty! Really cute quilt. That could help be a stash buster by all means. It's beautiful! What a great way to use up scraps. Very cute, but what's WOF? I have always wondered how you measure those out at weird angles. That is too cool. Thanks for the great ideas. what a fun quilt. the grey background is my favorite!..not to mention the wonky set squares..lot it all. thanks for sharing. What a great looking quilt. Really love the background and all the bright colors. Thx so much for the quick & easy plan of attacking this beauty. I LOVE the idea of using up some of the floor to ceiling stash I have and this is such a wonderful pattern. I love it. The tilted blocks are so whimsical and I like the gray against the bright blocks. I just love this! Thanks to you & Kersten for sharing. 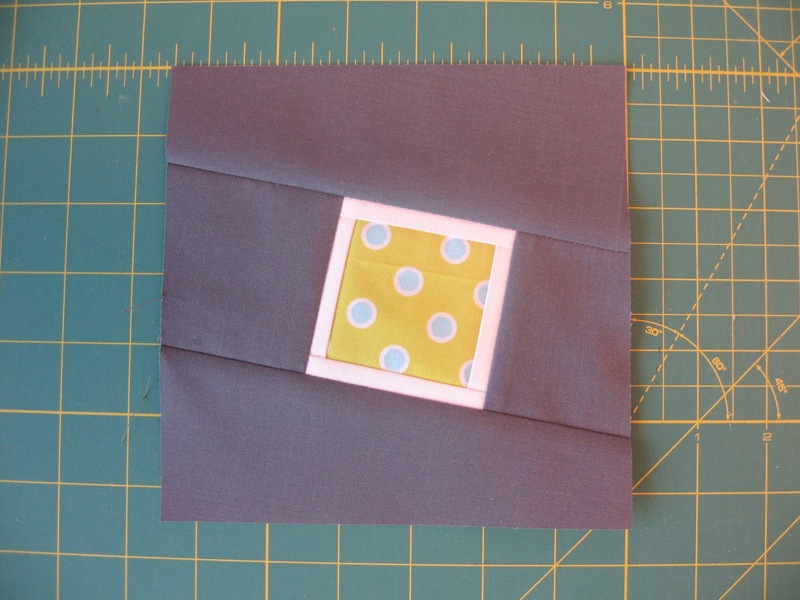 Thank you so much Kersten & Allison for sharing this fun tutorial. I just finished my 1st quilt (Allison's Sugar Dish pattern!) for our 1st baby on the way, and have been on the hunt for the next one. This will be a perfect fit for the Sugar Pop charm pack that I've been hoarding! Thanks again! Really cute quilt! I love the mini version, too. 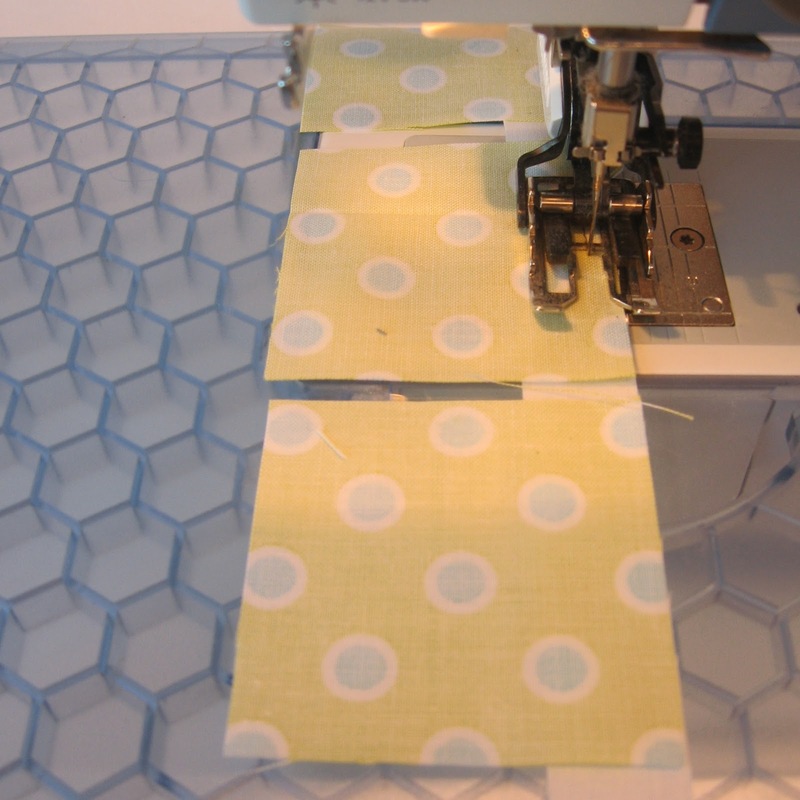 Thanks for introducing me to a new clever quilter to follow! Super cute. I so just pinned this into my quilts board. Great idea and thanks for the tutorial. That is lovely, I really like the grey background. 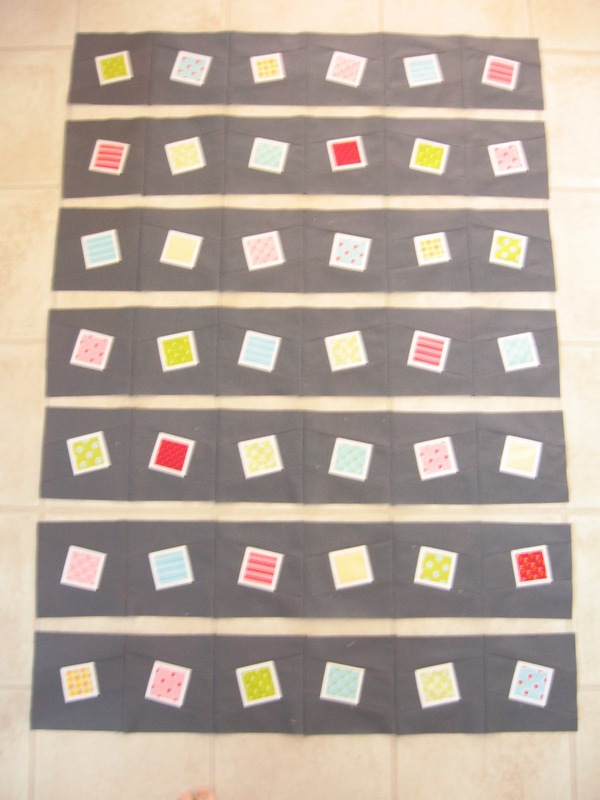 I wanted to make a quilt for my brother in law, now I think I may base it on grey. Blogs are such great inspiration! Your blog has inspired me. After months of popping over here and looking at the gorgeous quilts, I am FINALLY going to throw my hat into the ring. I'm going to try and make one for each of my kids for their respective 2012 birthdays. Yikes! 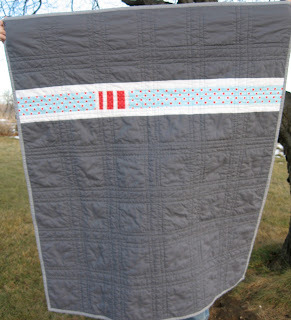 Oh, I've got so many scraps and this quilt is going to have to be a must for me! I really like the way you made your angles! Thanks great inspiration here. Had a great time adapting this quilt pattern to make a youth sized quilt for my granddaughter–made the colorful squares an inch bigger. The finished quilt has 54 squares (6×9) and 40 by 60 inches. 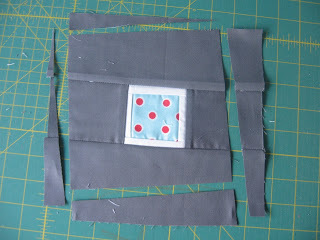 I added some quilting around the wonky inner squares, which was a bit time consuming, but cute. Would be happy to send a photo. Thank you, Kersten, for sharing.